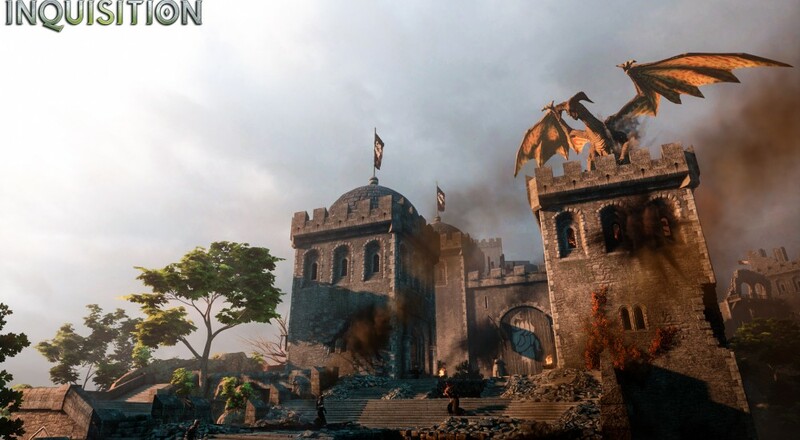 Players on all five of the game's platforms can download the "Dragonslayer" DLC at their leisure, dive into the vast new maps, and start taking down some scaly miscreants. Should they want to double down on their brand new experiences, the DLC also contains three playable characters: an Avvar Skywatcher, a Virtuoso (whose music can kill, not unlike the Kidz Bop series), and Isabela, the Raider Queen. Alongside this multiplayer content comes a single player DLC, which can also be had for free. "The Black Emporium" is designed for high-level players, can be accessed from the War Table, and contains four stores that sell epic weapons, schematics, crafting materials, and the like. In addition to getting buying phat loot, any players that are unsatisfied with their character's hideous visage can alter them via the Mirror of Transformation. It's pleasing to see the level of free support that Bioware has rendered to DA:I, though not entirely unexpected. At the very least, this should tide non-Xbox One gamers over until May 26th, when the "Jaws of Hakkon" DLC drops for PS4, PS3, Xbox 360, and PC.